In the summer of 1943, Birmingham, Alabama businessman, Frank G. Brewer, established a foundation in honor of his two sons who were serving in World War II. One served as a lead radio operator/navigator and the other as a paratrooper. Originally called the "Junior Collier Trophy," this award soon became known simply as the Brewer Trophy. 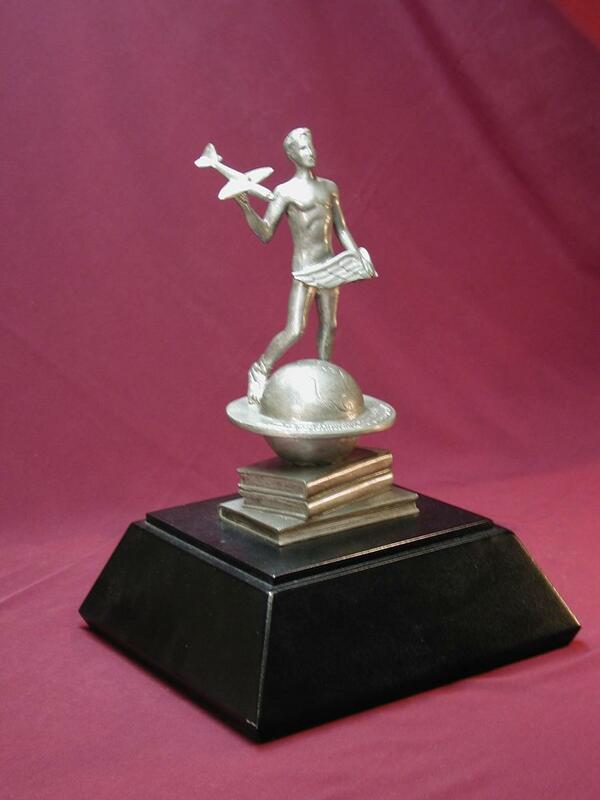 The Frank G. Brewer Trophy is awarded annually to an individual, a group of individuals, or an organization for significant contributions of enduring value to aerospace education in the United States. Mr. Frank Brewer explained why he created the award: "Because of my two boys and the other million and a half like them that this war has put into the air, and because aviation has climbed to America's No. 1 industry and will offer the greatest opportunities to youth in the postwar days, I wanted very much to make some kind of contribution to Youth Aviation Education." Stock photos were provided by gracious BFA members. Contributors are listed HERE.